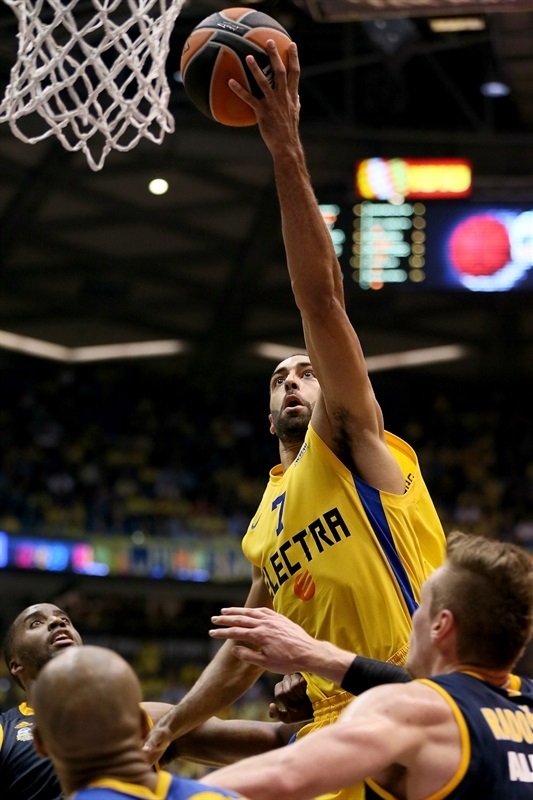 Reigning Turkish Airlines Euroleague champion Maccabi Electra Tel Aviv fought hard to hold off ALBA Berlin 95-89 on Thursday and claim a place in the Top 16. 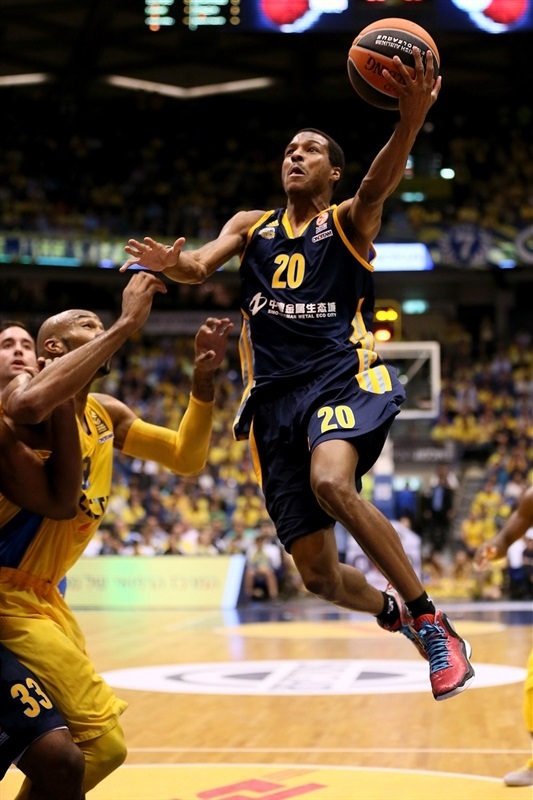 Devin Smith scored 26 points and Brian Randle had 21 in a victory that gave Maccabi a season sweep of the Berliners, and improved it to 5-3 record in Group B. Jamel McLean had 16 points and 9 rebounds for the visitors, who are now 3-5. 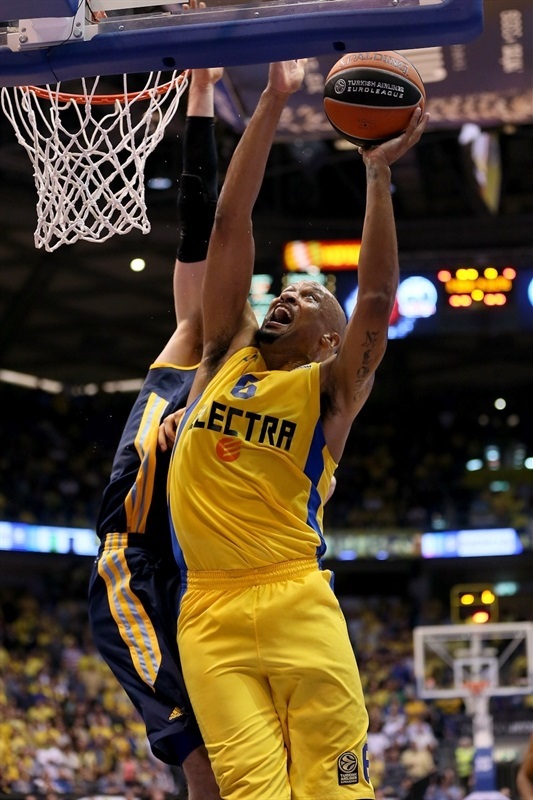 Maccabi had a strong start to the game and led 32-22 early in the second quarter, but McLean led the visitors’ rally with 10 points, and ALBA took a 42-46 advantage into halftime. Three consecutive three-pointers after the break put Maccabi up, but the teams traded leads back and forth until the half way of the fourth quarter when Randle and Smith made some key baskets, and Jeremy Pargo knocked down back-to-back triples to pave way for the hosts’ win. 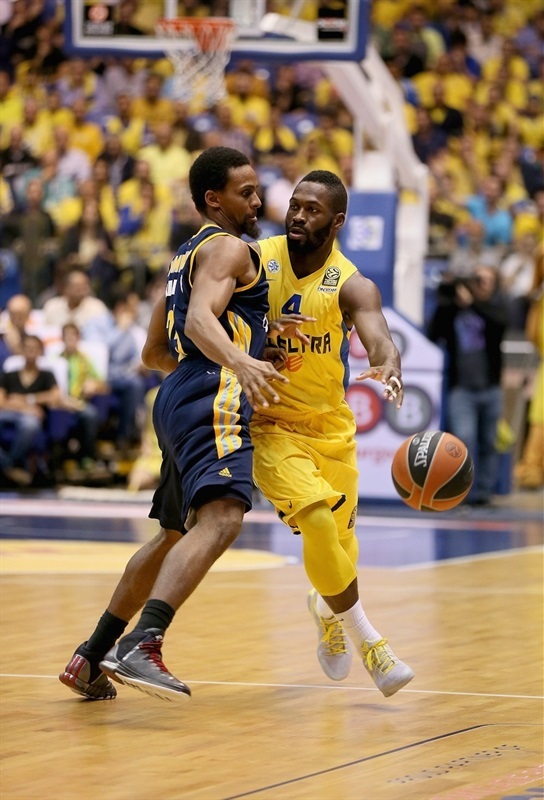 Yogev Ohayon contributed with 13 points and 8 assists, while Pargo netted 9 with 7 boards and 4 assists. For ALBA, Cliff Hammonds netted 15, while Reggie Redding had 13 points with 5 rebounds and 5 assists. 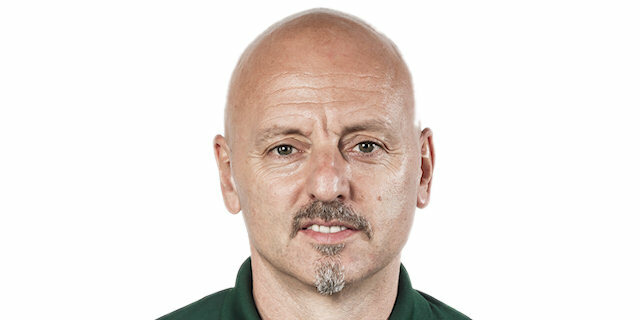 Marko Banic scored 12, and Leon Radosevic 10 in defeat. 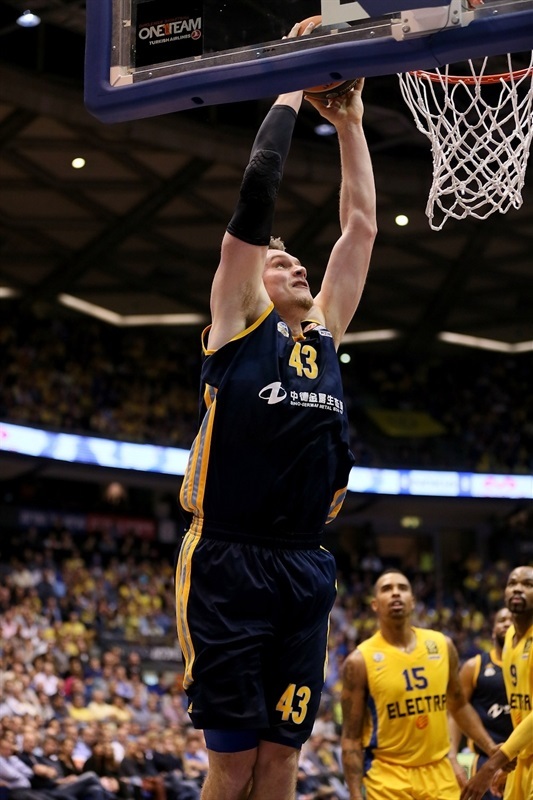 Randle opened the game with a steal and a fastbreak dunk, and after Niels Giffey hit a triple to open the scoring for ALBA, a baseline jumper and a three-pointer from Smith made it 7-4. 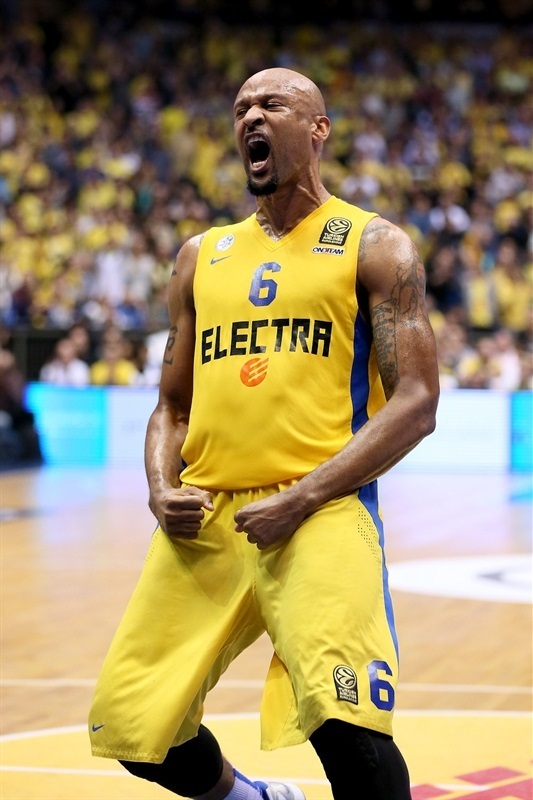 Randle extended Maccabi's run with another fastbreak dunk, and after Radosevic sank a jumper for the visitors, Sofoklis Schortsanitis fought his way for a layup-plus-foul, then added a put-back for a 14-6 lead. Banic banked in a short fade-away shot, and after Ohayon answered with a runner in the lane, Alex King made a steal and raced to score on a fast break. Aley Renfroe followed it with a three-pointer, before Banic fed Vojdan Stojanovski to get within 16-15. 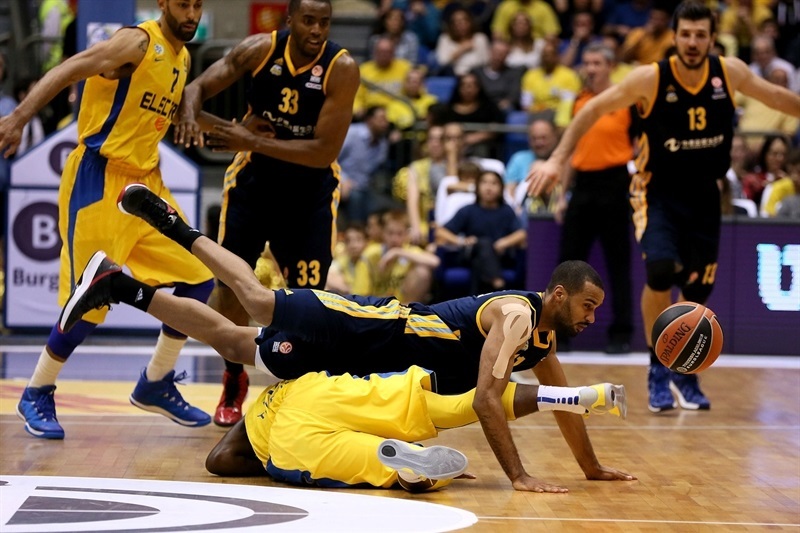 Randle nailed a triple to keep Maccabi in front, but Banic hustled to score on a fastbreak. 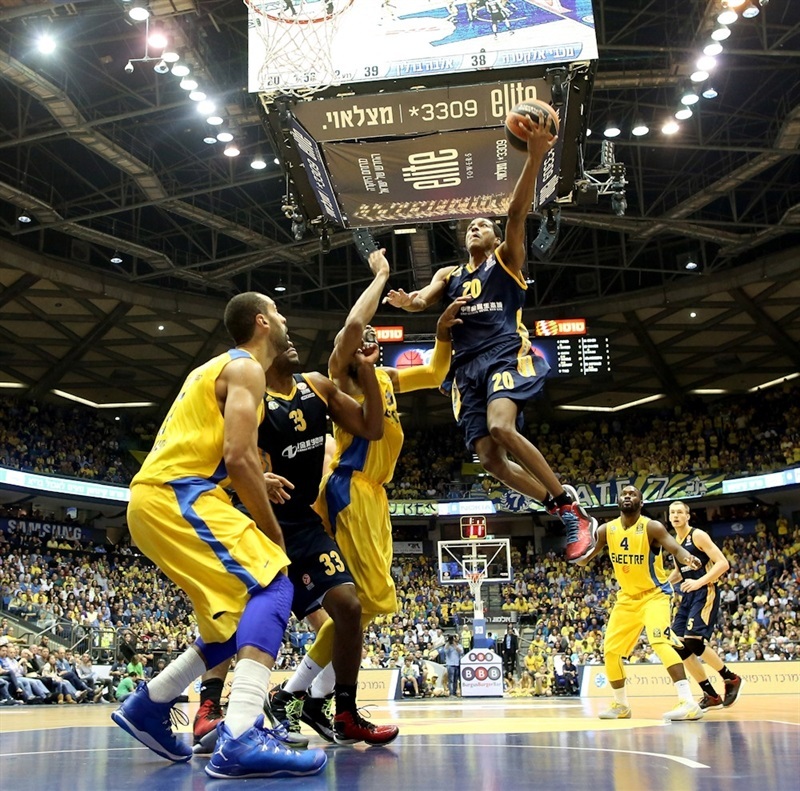 The visitors had couple of chances to tie it, but Smith made a block on defensive end for Maccabi, which led to a fastbreak layup-plus-foul from Randle for a 6-point lead. Radosevic made another hustle play for the Berliners, picking up a loose ball for a reverse layup, but Smith finished the quarter with free throws to make it 25-19 after 10 minutes. Sylven Landesberg drove the lane for a layup before McLean raced for a layup-plus-free throw on a fastbreak for ALBA. However, Smith answered with a basket-plus-foul, and followed it with a runner for a 32-22 advantage. But after a timeout, Radosevic scored in the low post off the glass, then added an easy dunk, before Hammonds hit a jumper to cut it to 32-28. Giffey’s three got ALBA within a single point before Schortsanitis scored in traffic from close range to snap a 0-9 run. But Renfroe’s driving layup-plus-free throw tied it at 34-34. Maccabi went back in front with a pair of put-backs, a dunk from Alex Tyus and a layup from Smith, but McLean fought inside for a basket and Stojanovski nailed a three-pointer on a fast break for a 38-39 ALBA lead. McLean added a tip-in and Ohayon answered with a three-pointer, but McLean made another layup for a 41-43 edge and free throws from Jonas Wohlfarth and Reggie Redding gave ALBA a 42-46 advantage at halftime. Redding drove down the lane to finish Alba’s first trip down the floor in the second half, but Smith, Randle and Ohayon nailed back-to-back-to-back triples in less than 80 seconds for 51-48. After a timeout Banic made a put-back for the visitors, and after Ohayon answered with a mid-range jumper, Banic sank 4 of 4 foul shots to put the visitors back in front, 53-54. MarQuez Haynes hit a short jumper, Banic made a layup against Maccabi’s zone defense, but Ohayon drove on a fast break for a layup-plus-foul, 60-56. 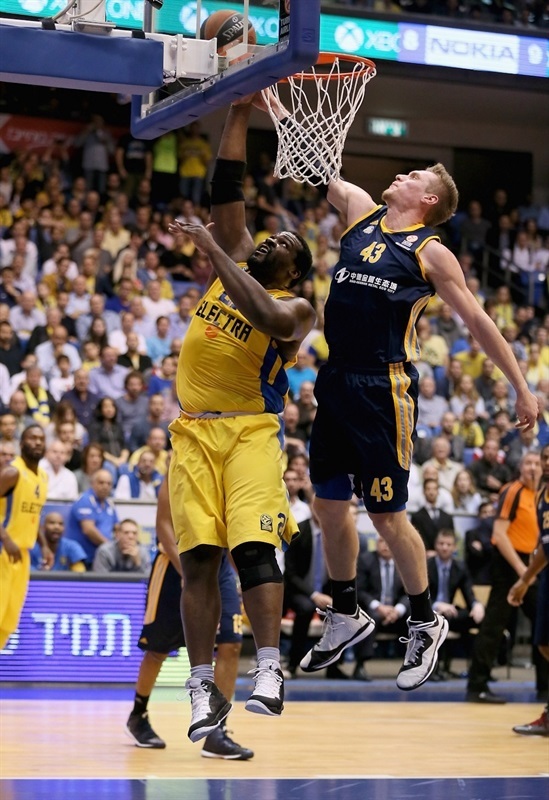 Redding answered with a three-pointer, but Landesberg kept Maccabi in front with a layup. Radosevic hit a baseline jumper, but Haynes drove for a layup and Tyus made a pair of foul shots for the hosts, before a McLean beat the buzzer with a tip-in for 68-63 after three quarters. Hammonds hit a corner triple, and Randle a tough basket inside on the other end to make it 70-66. Randle and Redding traded baskets, before Hammonds buried another triple to go ahead 72-73. A three from Renfroe made it a 4-point affair, and Schortsanitis fouled out. 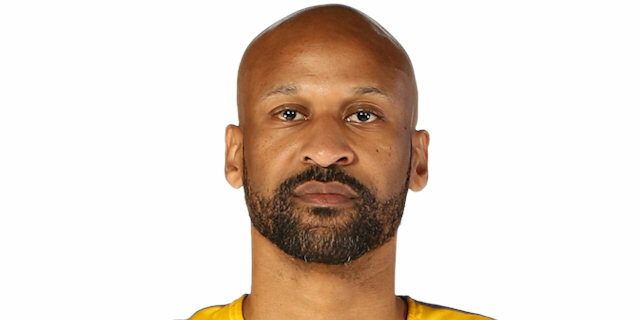 However Smith made a layup and split free throws and Pargo added to shots from the foul line, before Randle made a steal and a fastbreak dunk for a 79-76 advantage with four minutes to go. After a timeout, McLean made a layup, but Randle nailed a tough jumper with hand in his face, and Pargo sank a three-pointer to go ahead 84-78. 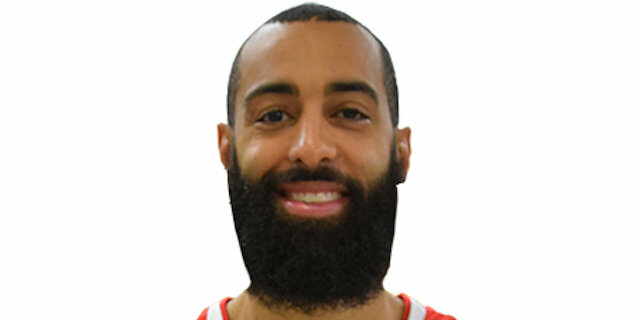 Redding got ALBA back in it with a second-chance three-pointer, but Pargo answered right back from way downtown, before Smith fed Tyus with a bounce pass for a dunk and an 89-81 lead with 68 seconds to go. Smith scored another layup after an assist from Randle, before Hammonds gave hope to the hosts, scoring a basket-plus-foul. Then Akeem Vargas made a quick steal that led to 2 Hammonds free throws to get within 91-87. 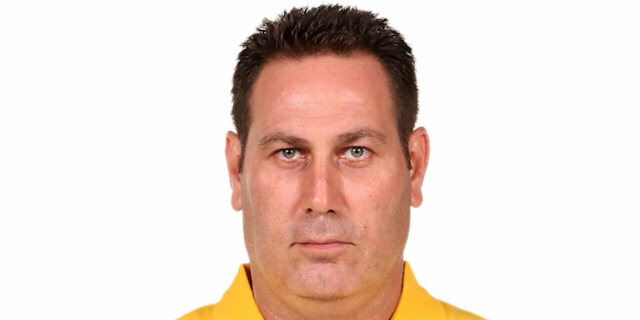 However, Smith sealed it from the free throw line on the ensuing possession, and Landesberg hit a couple more foul shots for an important Maccabi win. “It feels good [to qualify for the Top 16]. It takes a little pressure off, but we have a tough three-game stint now. Part of [ALBA’s] strength, of the characteristic of that team is fighting from the tip off till the horn sounds. We knew that coming in. Teams in Europe know that’s part of their identity. So we knew it was going to be tough, especially after the game we had in Berlin, that they would come here and really be out for blood. And they kept coming, kept coming, and we had some guys make some big plays and thanks God we got a win. I continue to say I’m a piece of the puzzle. There are going to be days I play well and days I don’t play well. Luckily I’ve strung together some games. I can’t say I am any more important than any of the other guys on this team."